A beautiful, energy efficient Classic Cream Retro Fridge Freezer that combines the appeal of the old with the performance and practicalities of the new. Left hand hinge. 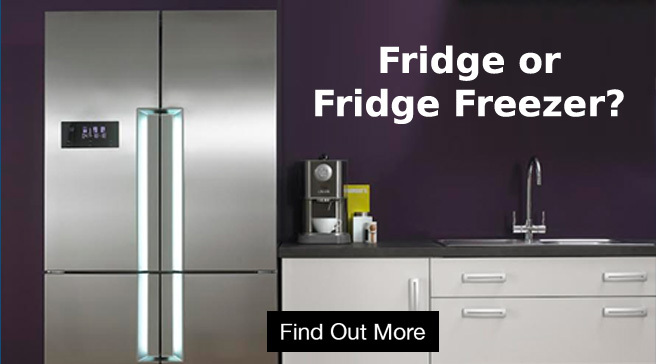 Register for a free 5 year parts and labour warranty - our pledge that your fridge freezer has been built to last. This Servis Retro Fridge Freezer in Classic Cream will bring sophistication to any kitchen. 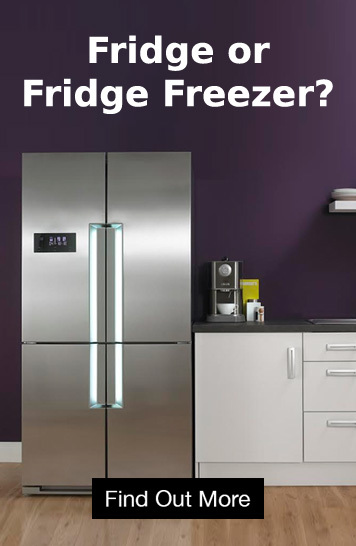 Fabulous 50s style, including beautifully curved handles, combines with an immaculately finished interior to give you a Fridge Freezer to truly adore. Tall and elegant; generous storage space in both the fridge and freezer, adjustable shelving and a space saving wine rack are just some of the features that make the Retro Fridge Freezer functional as well as beautiful. And because the freezer’s three drawers are clear fronted you’ll never have to struggle to find what you’re looking for. 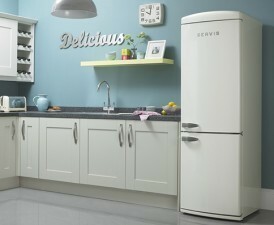 The Servis Retro Fridge Freezer may boast classic design but its technology is bang up to date. 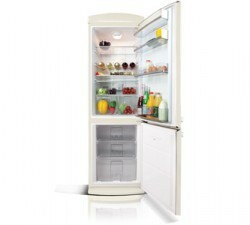 No Frost fridge freezers like this one need no defrosting, saving you time and trouble. 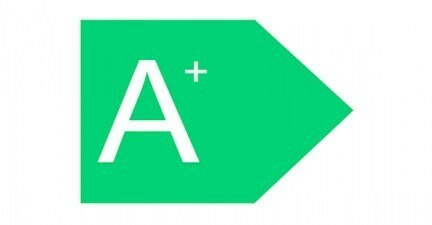 And with an A+ energy rating, it also saves you money. 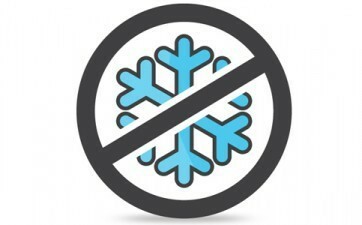 No Frost fridge freezers blow air around the fridge and freezer compartments to cool food more evenly and freeze food more quickly. Food not only tastes great but also retains more of its nutritional content. And because these fridge freezers don't need defrosting they also make your life easier. The Servis Fridge Freezer's full length wine rack is fitted as standard and is the ideal place to keep your wine chilled to perfection. 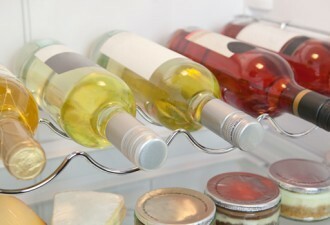 This stylish chrome rack stores up to five bottles with space-saving convenience. 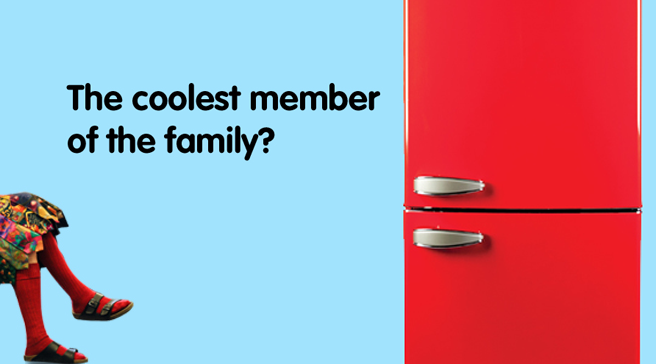 Your Servis Retro Fridge Freezer comes with a one year parts and labour warranty. 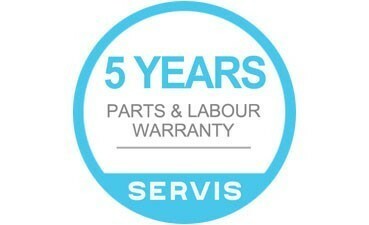 Register your appliance within 30 days to receive a FIVE year parts and labour warranty absolutely free. We don't think you'll need it but know that you'll appreciate the peace of mind. 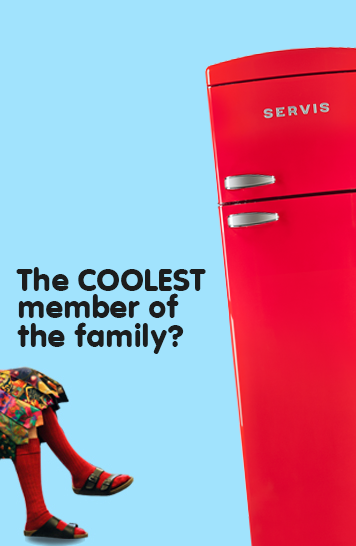 The Servis Retro Fridge Freezer comes with an A+ energy rating to save electricity and reduce your bills. Register now for your FREE 5 year warranty. Register your product today to get the most relevant support.